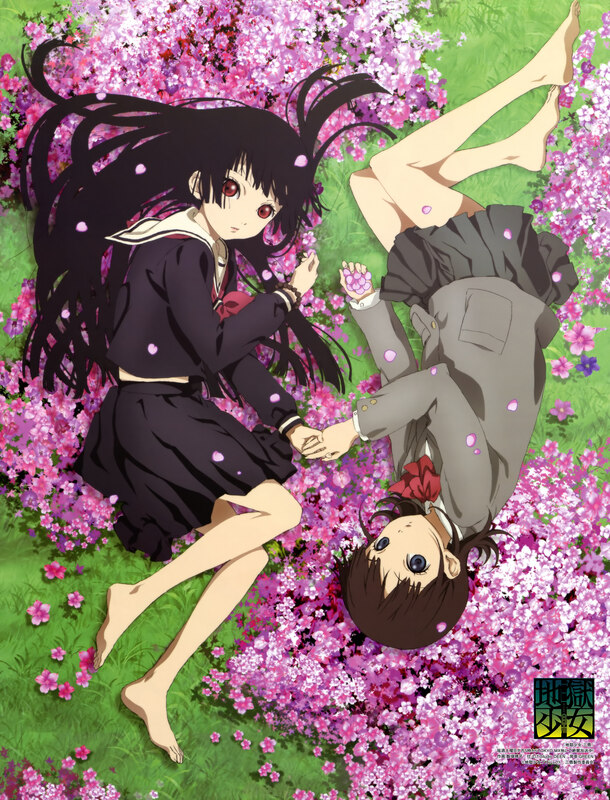 679 anime images in gallery. 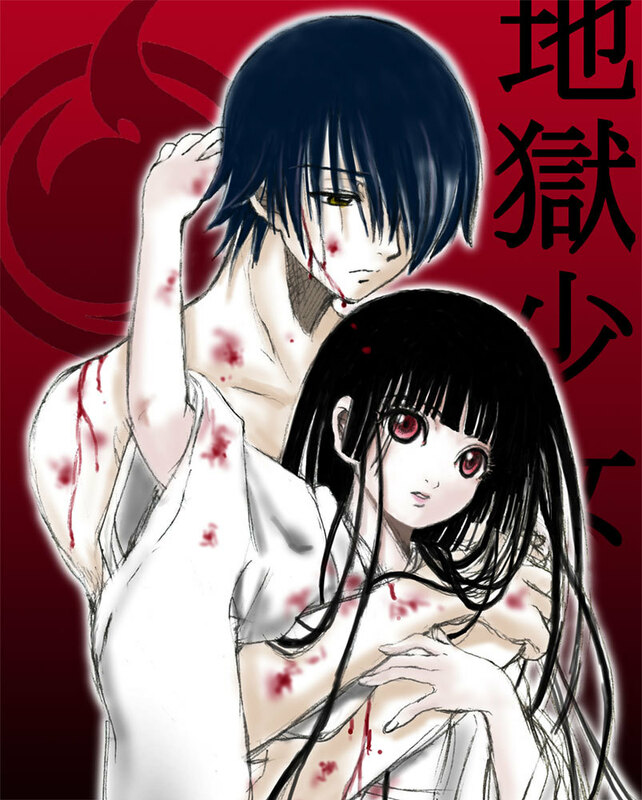 Tagged under Manga, Series, Studio DEEN and Nakayoshi. 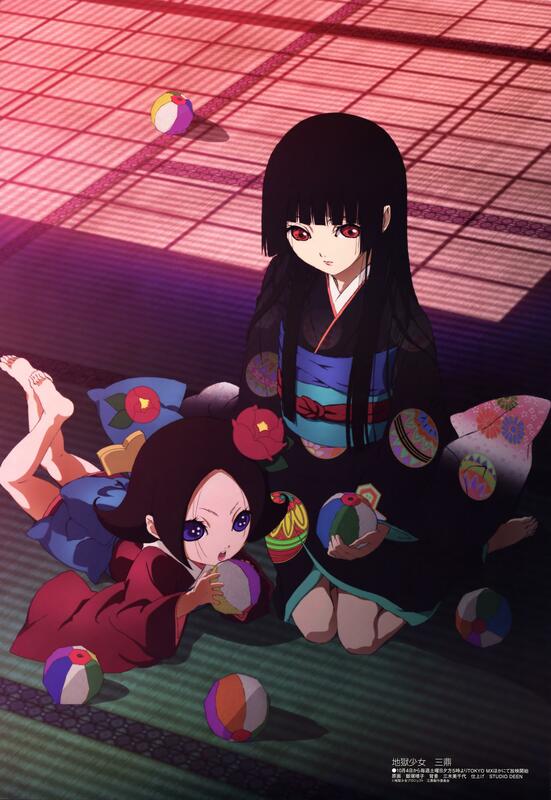 Jigoku Shoujo (地獄少女/ Hell Girl) and also known as Jigoku Shoujo: Girl from Hell was originally a mystery, and supernatural anime series produced by Studio Deen and directed by Takahiro Omori and written by Hiroshi Watanabe. 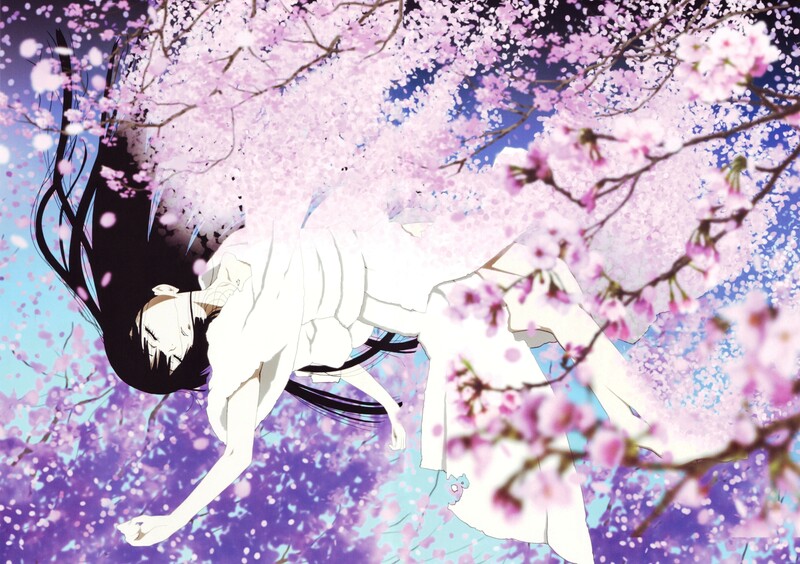 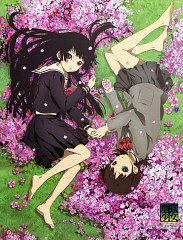 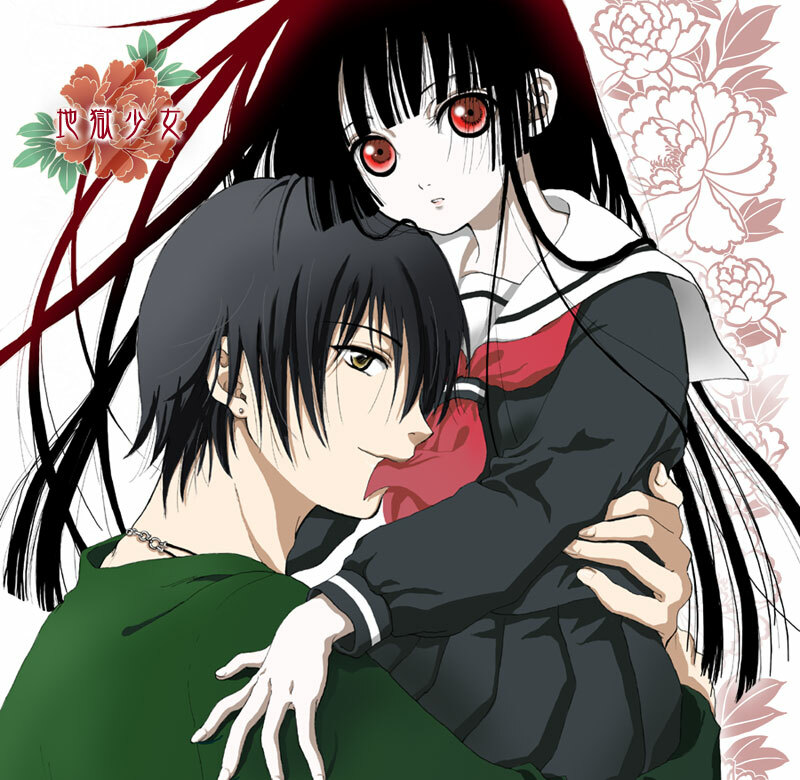 The first season of Jigoku Shoujo ran for 26 episodes with the first episode being aired on October 4th, 2005 and the last episode being aired on April 4th, 2006. 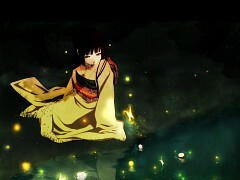 In Jigoku Shoujo, there is an urban legend that if you want to take vengeance on someone who has wronged you, you can employ the services of Jigoku Shoujo through the Jigoku Tsuushin or Hotline to Hell which can only be accessed during midnight only if you bear a strong grudge against someone. 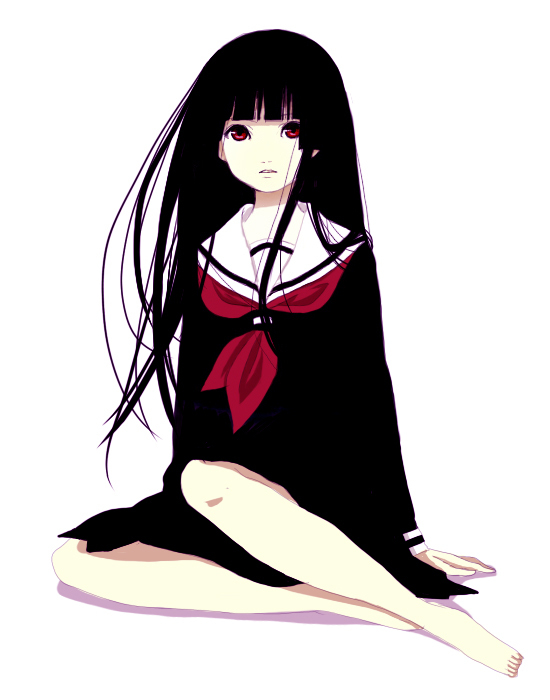 Enma Ai’s existence is only known to a few people and these people only know her as Jigoku Shoujo. She provides the service of exacting revenge for those who request for her service. The website does not have any significant content except a short message, a text box, and a ‘send’ button. 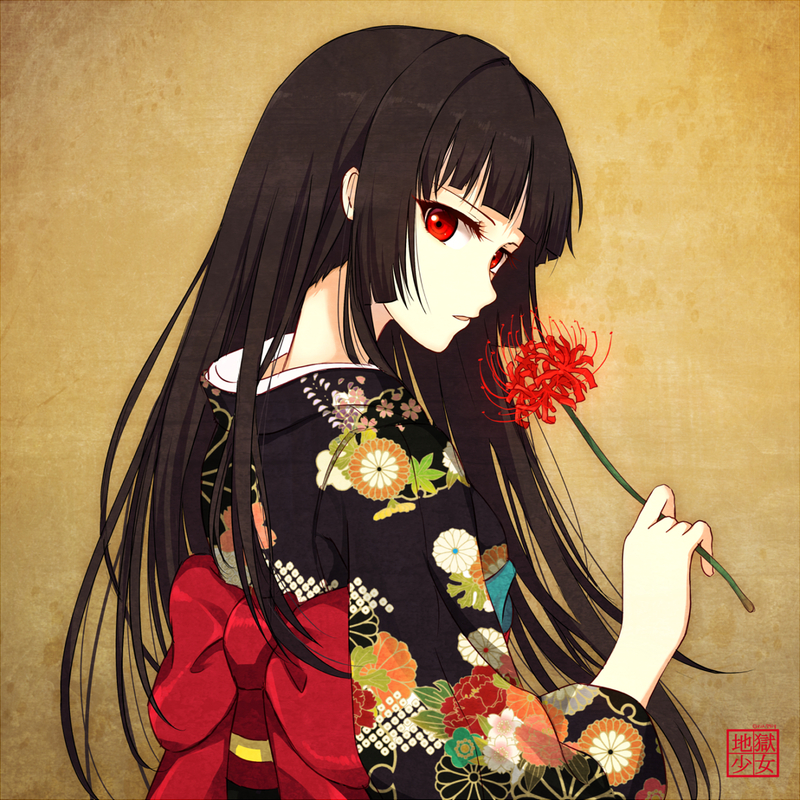 Entering the person’s name to receive punishment will inform Enma Ai that her services are needed. 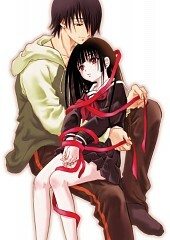 She then appears in front of the client and gives the client a straw doll with a red ribbon string tied to its neck. 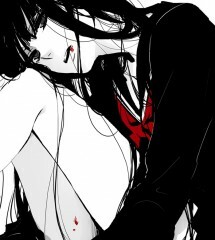 She then explains the terms of the service where if the client decides to choose to continue with his or her desire to punish someone, he or she just has to pull the string around the neck of the straw doll. 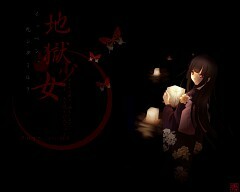 In exchange, the soul of the client will go to hell once his or her natural life has ceased. A recurring theme in the series would be “When one person is cursed, two graves are dug”. The client is then given time to decide if he or she wants to continue with his or her wish and at the same time, Enma Ai and her assistants will conduct their own investigation if the recipient of the punishment is qualified or not. 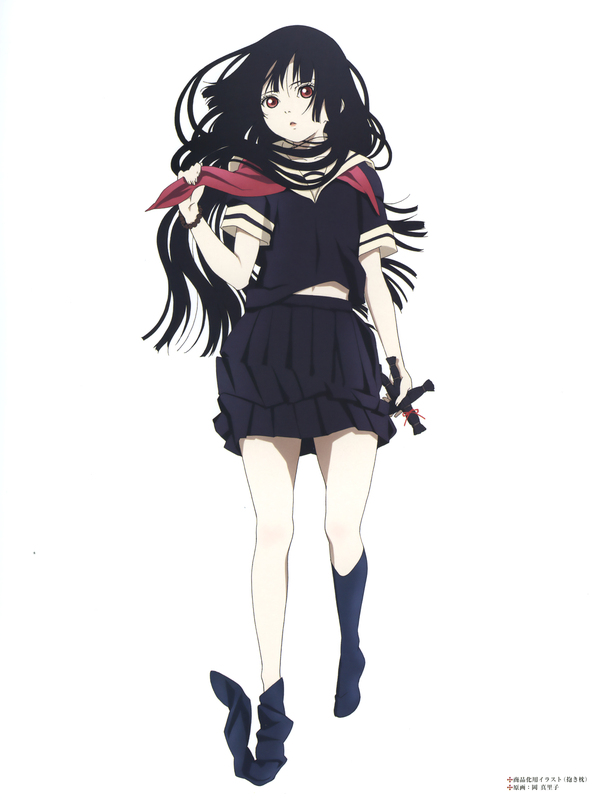 The anime is episodic with each episode focusing on an independent story where one is suffering torment from an acquaintance to the point that the victim accesses the Hotline to Hell to have the person’s revenge be delivered by Enma Ai. 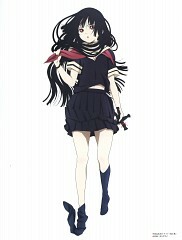 Enma Ai (閻魔 あい) – She is the main protagonist of the story although at the same time, serves as the anti-hero of the story. She lives in a place that is frozen in time where the sunset is eternal, along with her grandmother and her three companions. 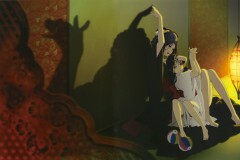 Her room has an old computer with three dolls near it who are her companions. Her grandmother informs her if there is a client who is looking for her services which are received via her computer. She often wears a black student uniform but changes to a black kimono with floral designs when it is time for her to deliver vengeance for a client. Ren Ichimoku is a companion of Ai and will often appear as a young man or a gigantic eye in the room. He is at least 200 years old and used to be a tsukumogami (as legend states, an object must be at least 100 years before becoming one). 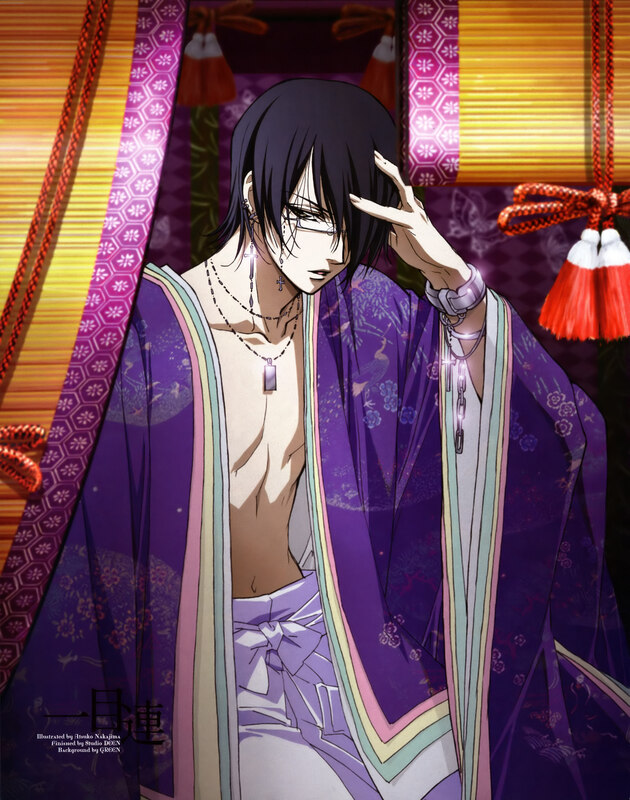 He is fascinated by people (since he was once a sword used in war – he was never actually a person to begin with). 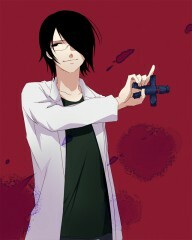 When Ai asks him to turn into a straw doll, he appears to be the dark blue one. Wanyuudou is another companion of Ai and has the appearance of an older man or as the carriage wheel that takes Ai to the human world. 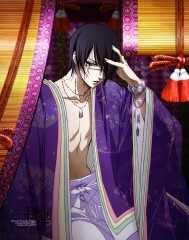 He often wears traditional Japanese clothing with a light gray fedora to cover his bald head. 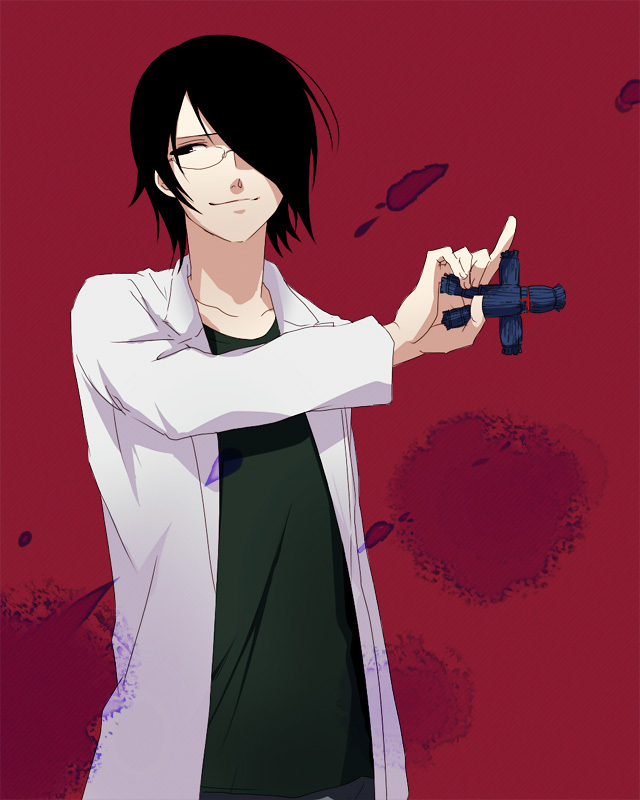 He is usually calm and even-tempered despite the despicable deeds that he sees while out with Ai. 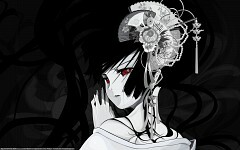 He is the dark grey straw doll when asked to change by Ai. 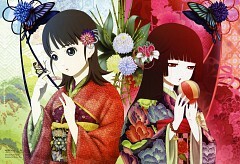 Hone Onna is a companion of Ai as well. 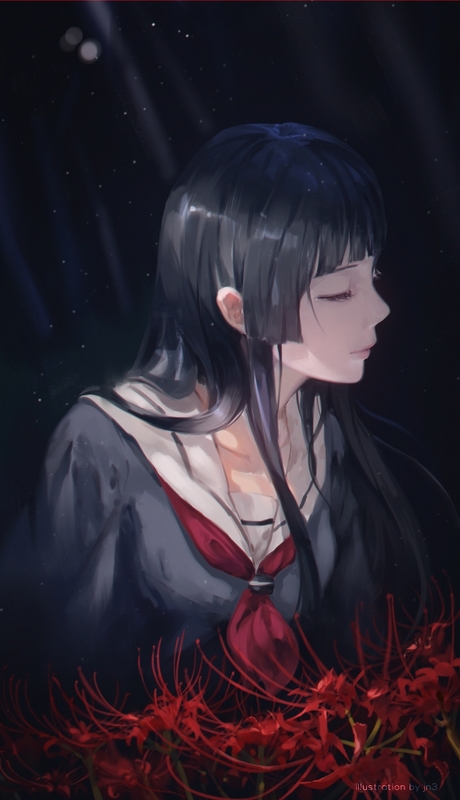 When she was alive, she was a woman named Tsuyu and use to be a geisha but was eventually betrayed which led to a tragic ending for her human life. She then haunted the river in which her body was thrown, which is why she is called Hone Onna (which translates to “Bone Woman”). 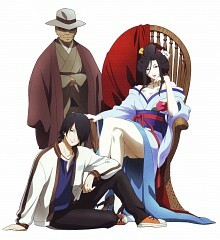 Like the rest of the group, she is also even tempered as Ai’s companion. 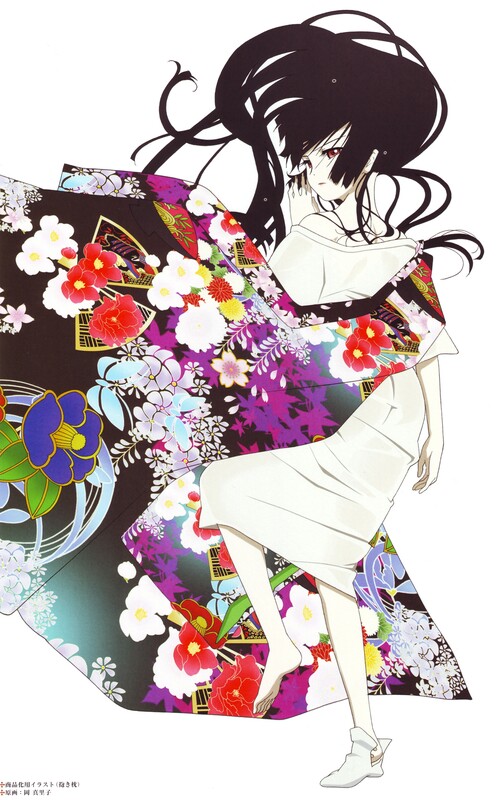 While, not an extremely vain woman, she does hate being called “old lady” by Kikuri. 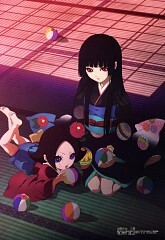 Kikuri shows up in the second season of Hell Girl. 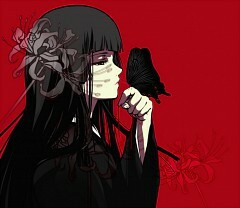 She appears as a little girl in a black kimono and eventually starts accompanying Ai and her companions. 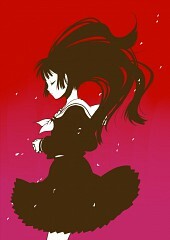 She’s incredibly childish and does things for fun – even manevolant things (just to see what will happen). 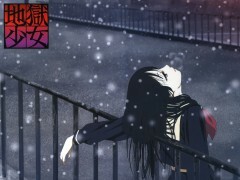 While her past remains a mystery, Ai’s tolerance of her childish actions are soon revealed to be due to their relationship.